Amiga Ireland is organizing a new event in the Prince of Wales hotel and several VIPs will be attending the yearly event. 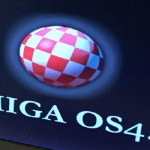 Meet fellow Commodore and Amiga fanatics as well as some of the people behind developments of past and present. Trophies for the winners of the gaming competitions, spot prizes, exhibitions, workshops, demo comp, interviews and much more. For more information or tickets please visit the website.